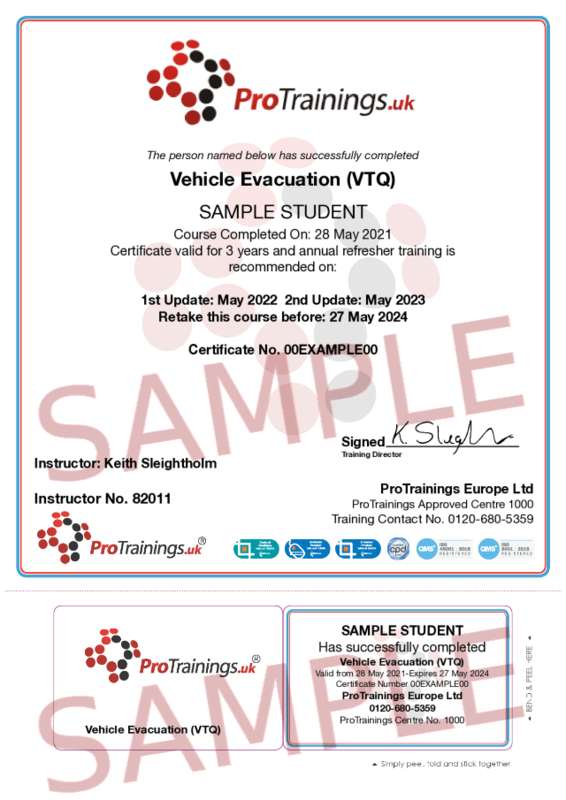 This training course is designed to be used by any driver of any vehicle to teach them how to evacuate their vehicle in an emergency. It can be adapted to cover cares, coaches, buses or trains depending on your needs. The course is ideal for taxi and private hire firms and can be incorporated into our first aid course to help in meeting local authority requirements.